Four Christmases might have actually had more laughs, but The Invention of Lying was still a better movie. thats why I didnt bother with that movie because I dont want to see Louis CK in an unfunny role/movie. Louis CK I consider to be one of the best comics out there. 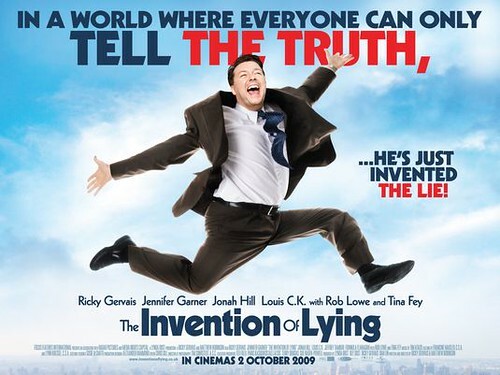 Invention of Lying was probably the most horrible thing to ever go into my DVD player. I think something has gone wrong in the script, where the "concept" didn't get across. I can sit through a bad movie, this was far and beyond bad to the extent of of being unwatchable. Turned it off in 20 minutes and got a credit from the movie store. I thought is was funny, with a twist. The concept got across. Louis's show is great, can't wait for episode 4. I think you need to smoke a fatty Mike. Maybe your loss of humor was the fault of the G-20 protesters. From the guy who made Extras to this - I couldn't get past the first 20 as well...and MfL, I did smoke a fatty, and it still wasn't funny.